Customers’ expectations are shifting – they want authentic and personalised communication experiences with brands. The problem? Current volumes of incoming communication make it hard to stay intimate with each customer. Chatbots have become a ‘balancing act’ towards delivering more personalisation without large budget increases. And they have already won over younger users – 69% prefer this medium for instant communication. Businesses that were quick to embrace chatbots are now seeing significant pay-offs in terms of employee productivity, lower administrative costs and higher revenues. 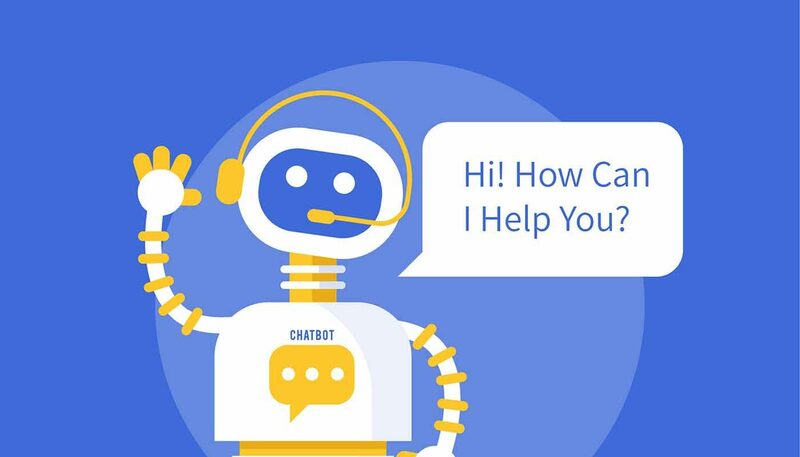 A pilot chatbot tested by one telecom company managed to independently resolve 82% of common customer queries, rising to 88% when combined with help from live agents. KLM airlines deals with 50% of customer queries on social media with the help of AI assistants. Chatbots also shorten the consumer path to purchase. What’s more, millennial consumers are ready to spend up to £481.15 with a brand exclusively via chatbot. Whether you plan to develop a chatbot to facilitate the sales process, assist with customer support chores or provide important product updates, you will need to pay special attention to your content strategy. Content design for conversational UIs abides by slightly different ‘rules’ than you may be used to. Chatbots pose a new challenge for designers – the medium’s interface lacks visual cues for interactions (the familiar tabs, arrows and buttons). Instead, all these elements need to be communicated by words to guide the user towards a desirable action – something 58% of UK consumers deem important when communicating with a brand. The first step to designing a truly helpful and clever AI ‘conversationalist’ is to establish the primary reason why a customer will interact with your chatbot. 69% of responders use chatbots to receive rapid answers about services such as business opening hours. 40% would love to receive deals and promos via chatbots. 22% seek product recommendations from chatbots. 21% don’t mind purchasing goods through this channel. 18% find chatbots a suitable medium to receive business updates. A great chatbot is able to cope with one or two of such tasks at a time. Teaching it to handle everything at once may initially result in frustrating experiences for users. The first step towards designing information architecture (IA) for a chatbot is scheduling a content audit first to organise and label all the existing information you already have. Attributes describing a hotel property e.g. luxury, budget, boutique, beach, mountains, secluded etc. Traits of a recommendation – family-friendly, great location, perfect for a honeymoon, great beach etc. Afterwards, you will need to determine the correlation between those qualities/attributes and how those interrelations can be used to compile a hotel recommendation. The task may seem rather daunting and granular, so here’s a quick tip – you can use data visualisation to help you identify all the relations between different informational cues. Your third step is to work out an efficient navigation. It should be developed in line with the main use case for your chatbot. Start with designing the default menu – the top-level point of your entire hierarchy. Strict hierarchy resembles a decision tree. You indicate the desired path for users and allow them to access only certain types of information. Such chatbots cannot handle off-script scenarios and may not be particularly effective to solve complex queries. Though it’s an excellent choice for a simple chatbot that could deliver some basic updates and guidance e.g. telling the opening hours or directing users to respective FAQs on the website. Multi-dimensional hierarchy delivers different ways of browsing the same content. It assumes that several hierarchies co-exist and cover the same content. For example, your chatbot is capable of distinguishing different products by size, colour, style etc, and pitching those to users. Search enables a dynamic view of proposed content based on the provided keywords/query and delivers instant links to each result. Users can jump straight to the content they need. Chatbots designed in a similar fashion tend to be the ‘smartest’ as they can instantly provide users with all sorts of answers after anaylsing the available information on the website. The final step is to create a content taxonomy that will help your chatbot identify and retrieve necessary information for the user. Basically, it’s the information about your information. Your chatbot can be compared to a search engine crawler – it needs some cues, such as metadata, to render the page content. And so does your chatbot. Creating a taxonomy means that you label and organise all the information available around certain attributes and parameters. User: What other hotels are available in Paris? Bot: There are 150 other available properties in Paris for your dates. Would you like to review all of them or shall I narrow them down by [attribute] e.g. location, price, rating, stars? The chatbot will then rely on your taxonomy to obtain the requested information. 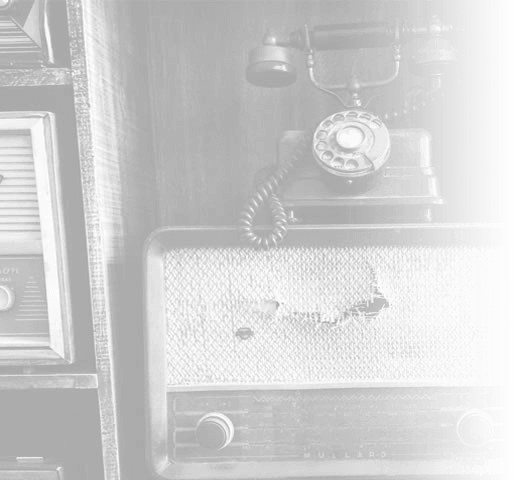 Designing proper IA is a test and trial approach – start with operationalising a small part of your content and add new conversational layers later on. Consumers may be excited by this new technology – 55% of millennials claim that interacting with a chatbot has positively improved their perception of a brand. 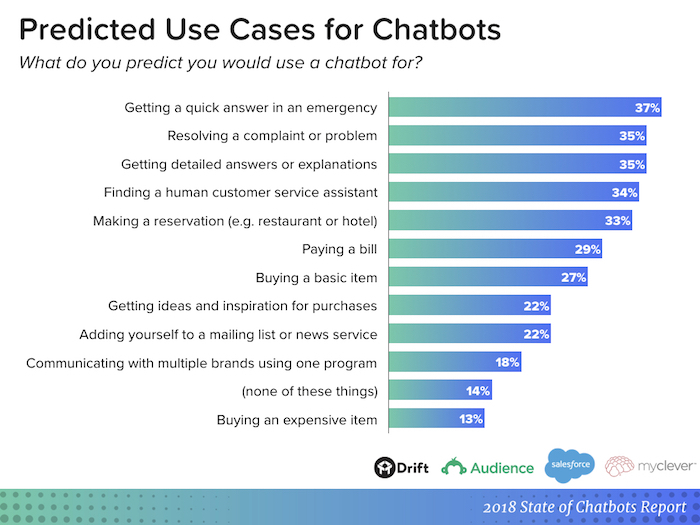 Yet some 60% of consumers are wary that chatbots will likely end up providing the same frustration that traditional self-service/IVR options do. As a business, you will need to prove those naysayers wrong. Teaching your bot to deliver accurate information is one part of the equation. You will also need to train it to be a friendly and user-centric conversationalist. The travel industry already has some striking examples you may want to check out for inspiration. Seamless and effective communication is underpinned by the assumption that cooperation between the conversational participants takes place. Users often rely on chatbots to receive instantaneous information. Most will be rather specific with their preferences. 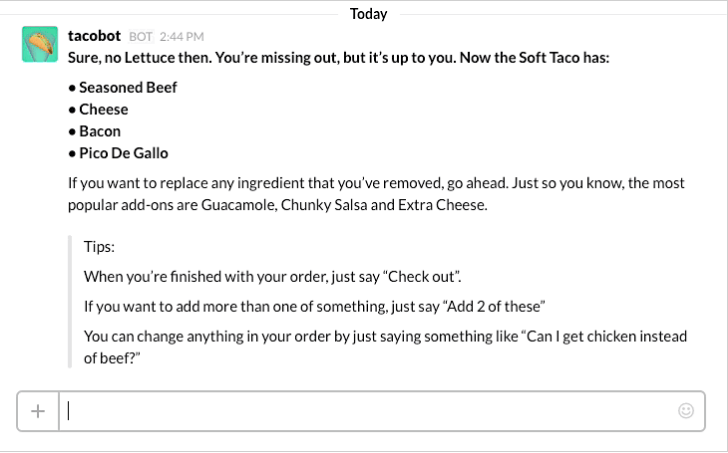 For instance, Tacobot is smart enough to capture user preferences (no lettuce) instantly, instead of asking them to choose between a series of standard fillings. Cooperative users may get frustrated when asked to repeat the same information again, so keep that in mind. Some users tend to provide extensive details – more than your chatbot may need to execute a command. Create dialogues that steer users toward the right direction. Don’t overwhelm them with an instant choice and ask them to take one specific action at a time. Make it easy for users to cooperate with you by adding special cues and anticipating their actions. Don’t go too creative though, as 47% of consumers will choose a chatbot that solves a problem over a chatbot with a great personality. Opt for plain and fun language, similar to your everyday speech. Avoid obscure word choices at all costs as they will make your chatbot sound like … a bot, which isn’t a good thing. 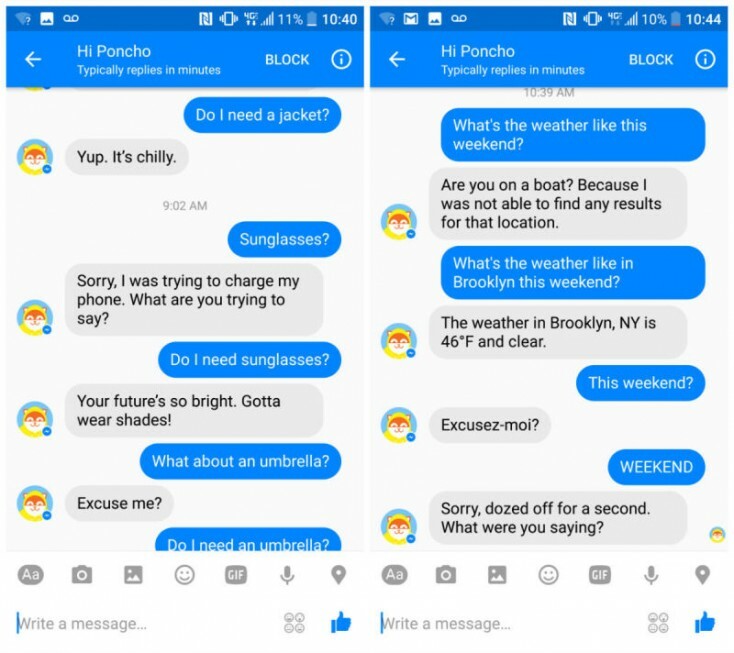 Going back to the previous example, Poncho simply uses “Excuse me?” phrases when asking the user to rephrase her question instead of going robo-like with “Your command is invalid. Try again”. Sense the difference? Keep the sentences short and allocate plenty of white space. Favour short, simple, one-syllable words. Keep the overall character count low. Reading a message shouldn’t require too much cognitive power. Avoid jargon and “concept” words that may create ambiguities. Keep your dialogues progressive – continuously open new knowledge gaps, and close old ones. Split test different dialogue options and run pilots with your team or a group of beta users before sending your chatbot into the field. Learn what types of interactions work best with your customers and help you achieve your business goals at the same time. Most importantly, keep your interactions fun and casual as chatbots are all about delivering better customer experience, rather then trying to solve every business problem you have. Voice search has been with us for more than half a decade now, but most of us are still used to typing out our chosen keywords. However, the stats suggest people are finally warming to voice technology – and just in time, too.